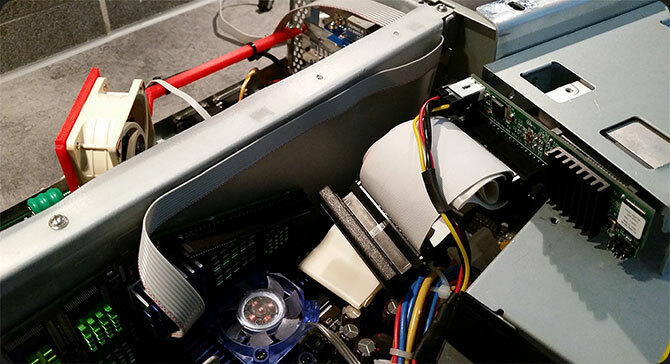 I found a rather interesting project a few months ago where they made a monitor switch for the Amiga that could easily switch between Native (Indivision) and other RTG display adapter. The switching itself was done either via software in Amiga OS 3.x or via manual switch. This was just what I needed and lately I found that a person in amibay.com sold assembled devices for a OK amount of cash. The delivery was swift and fast so I have my own device in mail two weeks maximum after I’ve ordered it. 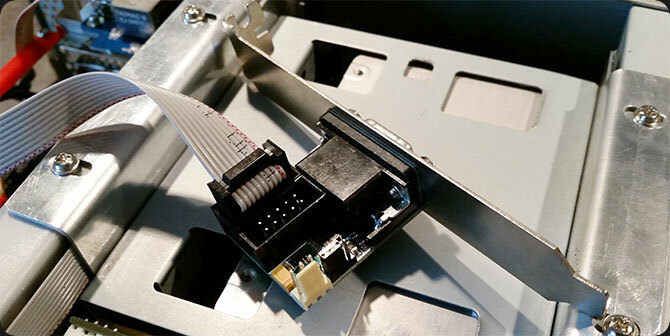 The connector layot of the Ratte Auto Monitor switch is as below. It is very important to connect correct graphic signal to correct port or it might be the last time you use your Amiga. The connector to the left when the VGA out is pointed from you is for the Amiga Native signal from Indivision AGA MK1, the other is for the CyberVision PPC. The smaller 3-Pin connector (Ratte board on the right) is for the CIA adapter that will be fitted over the U300 chip in the Amiga 4000D. First of all, mount the CIA-socket module on top of the CIA chip (U300). Be careful to put it in the right direction, but the clip can only be put on easliy on one way, the other three take some brute force. Match the beveled corner in the socket to the beveled corner of the CIA chip and you will be safe. I used double-coated adhesive tape for the cable that goes from my CyberVision PPC to the Ratte Auto Switch. This will hold it in place between the HDD-bay and the daughter card of the Amiga 4000D. 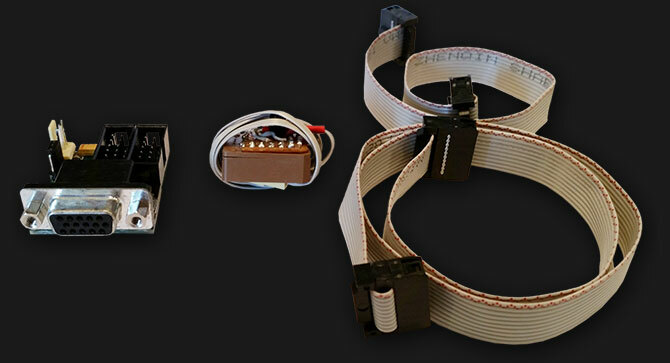 Next step was to connect the cables form the CyberVision PPC and the Indivision AGA MK1. 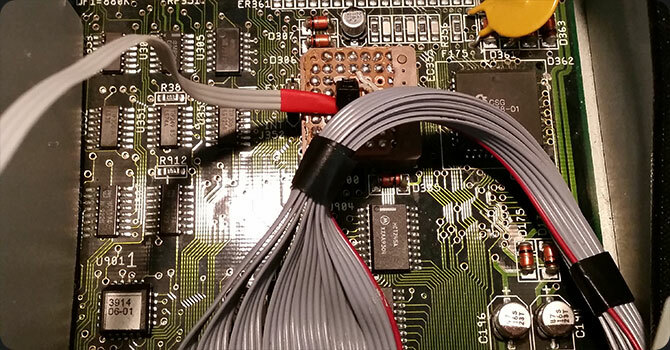 As I mentioned before, the left-most connector is for the Native Amiga Signal via the Indivision AGA MK1 and the right-most is the one for RTG-card. This is one of the “Must Have’s” if you have both for example Indivision and a RTG graphic card. The switch between RTG and Native PAL/NTSC is lag free, depending on your monitor of course. No more swapping between cables or manual monitor switches that needs to be clicked. I bought my sample via amibay.com via the user Superbonio so if you are interested in buying on yourself I can recommend him. Sorry but I have no Ratte Auto Monitor Switches for sale at the moment. which CIA do I have to use in case of an Amiga 4000T ? to which CIA do I have to connect the PLCC connector in case of an A4000T ? On Amiga 4000T, U560 is the CIA to put the adapter on.